About seven years ago, Mary Celeste Kearney began noticing how much “sparkle” had become part of girls’ culture—in makeup and clothing, as well as in girl-oriented media. She began compiling a “taxonomy of sparkle” in contemporary films and TV series to explore its sociocultural significance. The resulting essay, “Sparkle: Luminosity and Post-Girl Power Media,” has been honored with the Katherine Singer Kovács Essay Award from the Society for Cinema and Media Studies. Kearney, an associate professor in Notre Dame’s Department of Film, Television, and Theatre and director of the Gender Studies Program, examined the phenomenon of sparkle in contemporary U.S. girls’ media—from depictions of magic through animated special effects, to environmental sparkle in the form of twinkling stars and shimmering lights, to the adornment of girls’ bodies via glittered makeup, sequined clothing, and bejeweled accessories. Sparkle, though ubiquitous, has received very little attention from girls’ studies or media studies scholars, she said. Paying attention to how girls feel about this visual phenomenon and what they do as a result is crucial. Media created by girls today are “overwhelmingly luminous in their bedazzling, spectacular displays of empowered girlhood,” Kearney said. “These texts bear witness to a creative process that allows girls to spend considerable time in the wondrous beauty of sparkle,” she said. “Will such practices make the shimmering post-feminist masquerade all the more alluring to these girls? Perhaps. But might not basking in sparkle be one of the chief pleasures in their creative practices? And might not that encourage that future engagement in other media work? 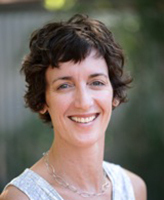 Kearney focuses her research and teaching primarily on gender, youth, and media culture. She is the author of Girls Make Media, and the editor of Mediated Girlhoods: New Explorations of Girls’ Media Culture and The Gender and Media Reader. She is currently working on a book on gender in rock culture, Power Chords and Groupie Chicks, and a historical book project, Making Their Debut: Teenage Girls and the Teen-Girl Entertainment Market, 1938–1966. She is also co-editing two books: Mediated Girlhoods: New Explorations of Girls’ Media Culture, Volume 2 and The Craft of Criticism: Critical Media Studies in Practice. Originally published by Carrie Gates at al.nd.edu on April 12, 2016.